On the 14th of June 2017 a dreadful blaze saw the 24 storey Grenfell tower in North Kensington completely destroyed, Following from this the measures regarding the safety checks of high rise buildings in London came under dubiety again. More than 40 fire engines and 200 firefighters struggled to save lives and control the fire but unfortunately were not completely successful in doing so. As more than 80 people died and 70 people injured after the building burnt for 60 continuous hours. Several lines of investigations were carried out after the horrific incident and there was questioning on the cladding system used in the building. A renowned estate developer who has handled numerous construction and re-cladding projects in the UK mentioned that the tower’s cladding was designed to incorporate fire breaks at each floor and around every outer window. If the cladding was installed properly, flames could have been stopped earlier and the intensity of the damages could have been reduced. There are numerous safety measures and guidelines involved in designing a building and installing the cladding. Several aspects are taken into consideration like how flammable is the insulation? Are fire barriers in place? How much is the gap between cladding and insulation? How to stop the fire from spreading? And much more! Part B of the building regulations governs the fire safety in UK buildings. 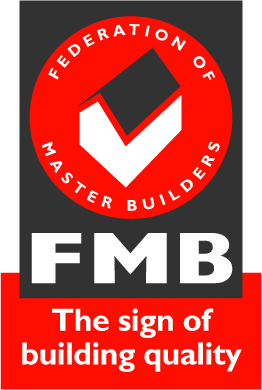 According to a survey by a forum for fire and rescue organizations; Fire Sector Federation (FSF), 92% of its members accept that the regulations regarding the fire safety checks are outdated and do not reflect and satisfy the current demand in fire safety checks required during designing and constructing a building in the UK. Most builders tend to ignore the crucial points regarding the external cladding, gas pipes, emergency exit ways and fire alarm system of the building during construction. However, some of the leading estate constructors and developers follow proper fire safety measures while raising a construction. But there are still more than four thousands tower blocks in the UK remaining subject to outdated regulations. Most of the small and unfamiliar builders do not incorporate experienced and skilled estate designers and developers and their buildings suffer numerous fatal accidents each year causing hundreds of deaths. On the contrary, proficient estate contractors perform all safety checks adhering to the UK’s construction and safety laws. Such builders are in a good position to make sure that the work is carried out in a way that secures inhabitants’ health and lives and that of others who visit their buildings regularly. The responsibilities of an estate developer commence as soon as they are appointed by the client to carry out the construction work. It is also important for the client to conduct adequate research before short listing the best constructor and should provide the sufficient time to the construction company to plan the work and identify the risks to the safety of the building. The client should select the estate constructor that is obeying Construction Design and Management (CDM) regulation of 2015 when constructing any commercial and residential project. Fire safety guidance by UK’s government for a contractor, builder or an individual landlord is also mentioned on this page.